A cataract involves clouding or opacity of the lens. This is the leading cause of blindness. The vision loss is caused by the opacity, since light has a harder time travelling through a cloudy lens. Most people think that cataracts are all the same. However, this age-related problem actually has three primary types. As we age, we may develop one or a combination of any of the three types of cataracts. This condition will not be evident right away. However, it will begin to worsen in time if it is left untreated. Most cataract doctors Houston residents trust will tell you that it would be best to have your eyes checked regularly, as this is a condition that should be treated early to get the best results. Here are the three common types of cataracts. This type of cataract affects the lens cortex. This is the peripheral or outer edge of the lens. There will be white or cloudy opacities upon observation. The change in the lens fiber water content will create fissures or clefts. These will cause any light that enters the eye to scatter. Therefore, a person with this condition will have problems with glare, depth perception and contract. Blurred vision is a common complaint in people who have cortical cataracts. Please note that people with this condition usually suffer from diabetes. This is the most common age-related cataract. There is a marked yellowing and hardening of the lens, hence the term sclerosis. There will also be a gradual clouding for the nucleus, which is the central area of the lens. As mentioned previously, this condition progresses at a gradual pace. One will notice certain changes in the affected eye. They might notice temporary improvement with regard to close up vision. However, this occurrence, which is called “second sight,” is but a temporary phase. A person with this condition might also observe that the affected eye has difficulty focusing. This typically begins as a tiny cloudy or opaque area found in the back surface of the lens. It forms beneath the lens capsule, which is a membrane or sac that covers the lens and keeps it in place. It creates a “halo” effect, wherein a person with this condition will see a glare around lights. Therefore, reading can be a challenge. People who have diabetes, retinitis pigmentosa (inherited eye disease that causes vision loss due to retinal degeneration), extreme nearsightedness and those who take steroids are prone to developing this particular cataract. Unlike other forms of cataracts, it is more aggressive. Thus, one will observe a noticeable difference in a matter of months. Cataracts are such a common problem that many individuals automatically think it comes with age. This is not true, as there are many older individuals who do not suffer from this condition. Keep in mind that genetics, trauma, medication and a history of skin disease can contribute to cataract formation. Please note that cataracts are treatable, especially if they are discovered earlier. This is why it would be best to have your eyes checked more than once a year, as this will give your doctor ample time to monitor the condition and decide on the best treatment plan. However, it would be best to have the problem corrected by experienced cataract doctors Houston residents trust, as the result rests heavily on the skill of the physician. 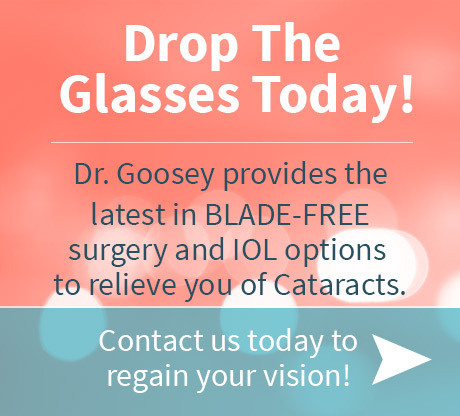 Look no further than Dr. Goosey for the detection and treatment of cataracts. 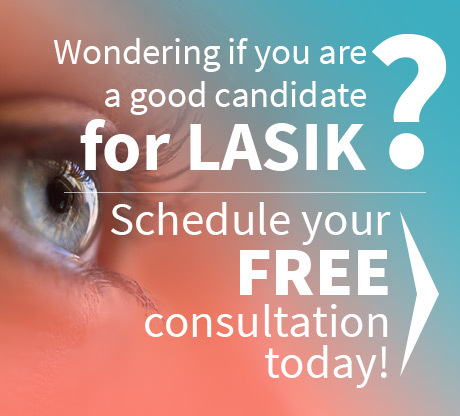 Contact our offices today and visit our Cataracts page to learn more.